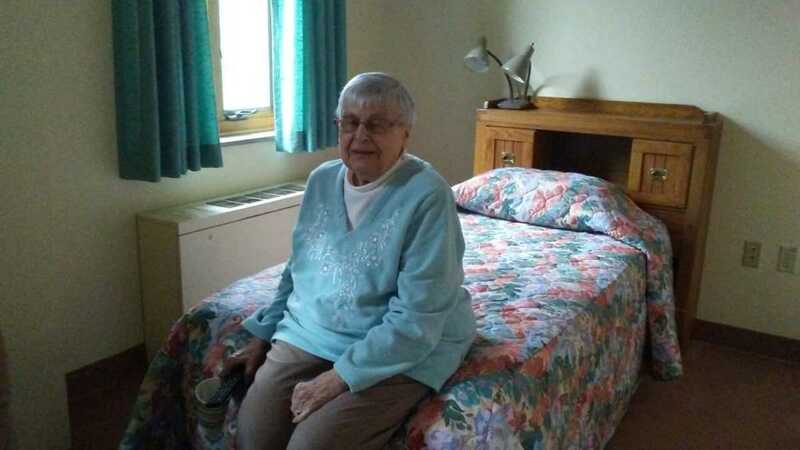 Recently, Corrine Giel, SCN, got a call from Prioress Karen Brink, OSB. 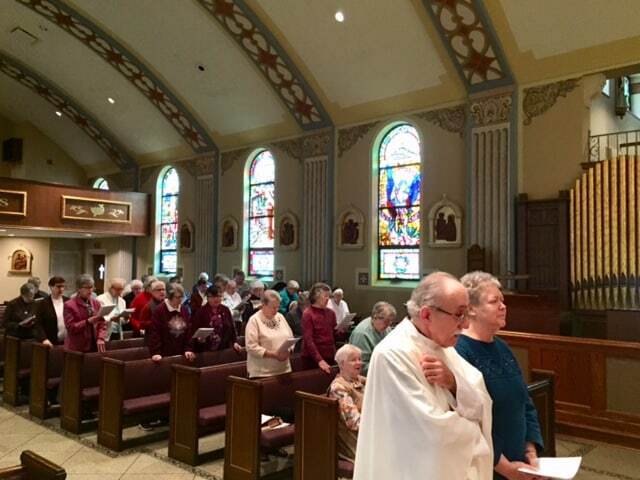 Due to a water emergency in their building, 33 Benedictine Sisters had to evacuate from their monastery immediately. Sister Corrine told her “our doors are open” and that she should bring them to St. Louise Convent. They came with what they had on. One came wrapped in a blanket as she wasn’t able to go back to get her coat. 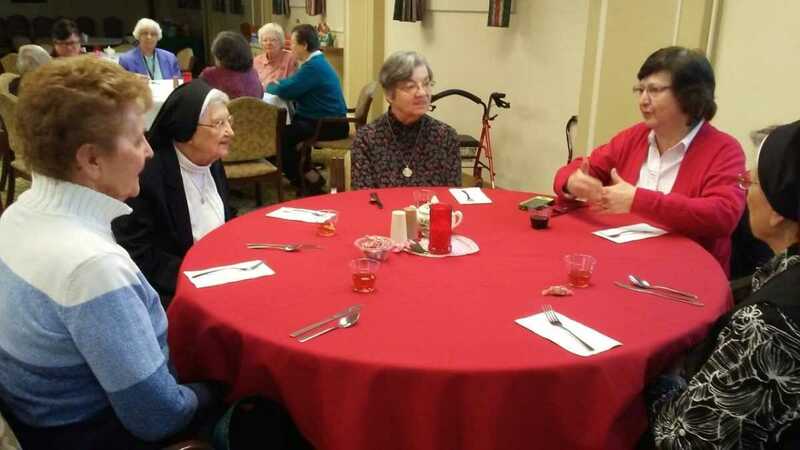 The Sisters at St. Louise met them with open arms and took them to the dining room to discuss the rooms available. They were directed to the rooms that best meet their needs. Each one has a private bedroom. The next day, they were able to go back in small groups to get their medications and some more clothes. They thought that the temporary shelter may be needed for a week or so, however, the damage to their place is now estimated to take at least 60 days to repair. They will be staying at St. Louise at least until the early part of April. It has been exciting to have the sisters here. The experience is life giving for them and for us. The excitement has raised spirits on both ends. The lively noises in the dining room is reminiscent of the “olden days” of many sisters dining together. The chapel has added more voices and filled pews. We had a wonderful super bowl party on Sunday evening. Lots of good snacks and cheers. Yesterday was the Feast of St. Scholastica – she with St Benedict founded the Benedictine order. The OSBs prepared a wonderful Liturgy and the SCNs had a festive meal for all following the Mass. All the sisters on the campus were invited for a great celebration. how to enjoy and celebrate. What an inspiration to us all! Thanks to all who met our visitors with open arms and hearts. May all be richly blessed. Hope the super bowl party was in honor of the New England Pats! Martha Walsh SCN in Quincy MA. The Spirits of Vincent and Catherine are alive and active in you! How great! What a heartwarming story! We are so proud and grateful for your open,loving hospitality. “Where charity and love prevail….” How wonderful that two Communities can come together in a time of great need. But that’s what we do! Thank you for your gracious hospitality.